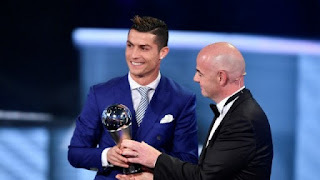 Christiano Ronaldo picked up again the Best FIFA Men's Player of the Year award of the year for performances which spanned November 20 2015 to November 22, 2016, with Lionel Messi and Antoine Griezmann fellow contenders for the award. 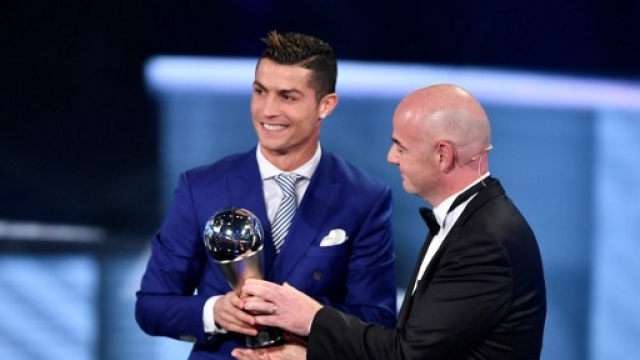 Ronaldo was given 34.54 while Lionel Messi was second with 26.42 and Antoine Griezmann came third with 7.53. 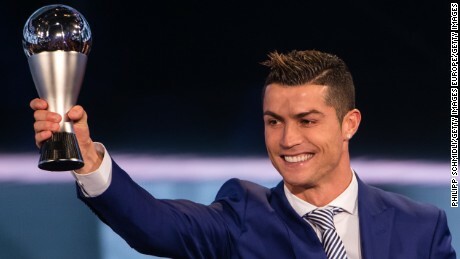 Ronaldo last year picked up his fourth Ballon D'or ahead of Messi and Antonio Griezmann runner ups last December will in no doubt be happy is year started promising, taking up his first separate FIFA prize since it's separation from the French Ballon D'or. Ronaldo said in his speech "I'd like to thank my team, national team, Real Madrid, my trainer, my family that came here, my son, my brothers," Ronaldo said in accepting the award. "2016 was the best year of my career, the trophy shows that people aren't blind and watch the games. "With everything I won with my national team and club, with great individual performance, I can't forget this incredible year. Thanks for voting for me. "I don't have much more to say, I think the awards speak for themselves. I'm not going to do the scream, just the motion." "It's not a case of what's left to win, it's about carrying on, feeling motivated to continue and train every day, to sacrifice and deal with bad moments, this is football. "Yes, I think that's the most difficult, to get to the top is difficult, but to stay there for several years is even more difficult." "I still have motivation, I want to continue like this for a number of years, you never know what tomorrow brings, but at the moment I still feel motivated, I have strength to try and win more trophies for my club and more individual awards, which is more difficult with age, but I feel well. "We have to think that everything is possible in football, but my feeling is that in the next few years, either with me or without me, the team will have this winning mentality, to try and win European championships and World Cups. It's very difficult but I think it's possible."